The project is a three story Medical office program for a single tenant use. The building structural system is comprised of a hybrid system of inverted V braces with zipper columns at the ground floor of each of the four elevations with bolted end plate moment connections throughout the other framing lines. It is steel pan and concrete deck with a cladding system of metal studs supporting prefabricated insulated metal panels. 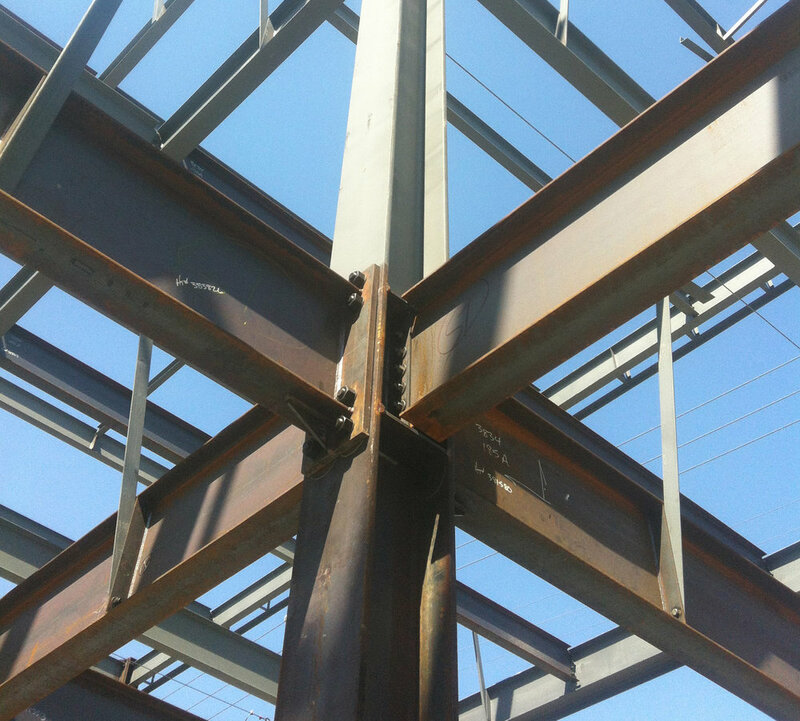 The stair and elevator core is also steel framed with no seismic systems in the core other than the standard moment frame grid.